This red tape and legal issues page is an overview of the items you may be required to cover off as an owner builder. I need you to take a deep breath and understand this summary, rather than view it as a deterrent. I say this as, after I re-read this, it seemed daunting, but it is all a process that can be worked through and accomplished, as long as you play by the rules. Believe me, I've done it a few times. As I don't live everywhere! I will speak to my own red tape battles in my own district as an example. Waver: I am not a solicitor or your personal adviser / guide so after reading, do your own research. And, contracts are not mentioned here. These items may not be in chronological order, it depends on how you approach your project. Trying to find out about my five acre parcel of land before I bought it, ie due diligence, was frustrating. Planning officers would not offer specific information unless I submitted a proforma request for information along with a $50 fee, for each question. All land in NSW, required a Planning Permit, which stated under what circumstances a construction permit would be approved. Complicated, as the permit didn't mention a Koala corridor that restricted our house placement and site clearing. It did mention the site was bushfire prone and was subject to tree preservation statutes. Check these documents closely before you buy. See my Due Diligence checklist here. The epitome of red tape, my DA had 12 submissions to complete, compile, draw and or obtain. All submissions had proformas downloaded from the council website with plenty of explanatory info. It took me three months to finish to submit-able standard. 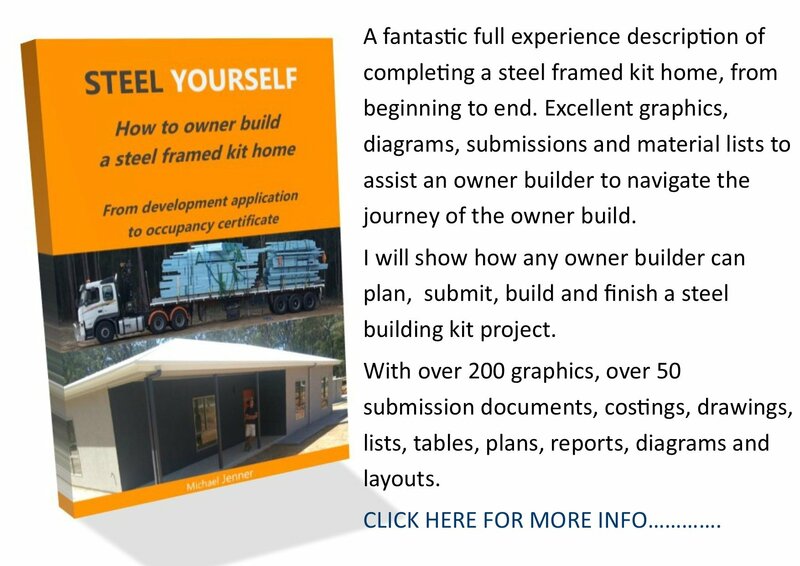 I needed a clearing and environmental impact plan, bushfire provisions and plan, house plan, foundation design plan with soil reports, Basix (building sustainability) commitments, waste (rubbish) management plan, waste water (septic) management plan, shed plan, driveway application and site survey. I describe these submissions in detail in my ebook 'Steel Yourself'. Go here for details on how to get it. All trade-workers need to be registered and provide a copy of their indemnity insurance. They also need to provide proof of how they will comply with WHS regulations for example using safety equipment or gantries. They also need to supply certificates of workmanship in some cases (see below). Here is my page about dealing with trade-workers.. This is full to the brim with red tape and, in my opinion, can be mostly avoided, by not hiring and doing it solo! Some of the red tape includes paying correct award wages including penalty rates and overtime, calculating and withholding tax, calculating and submitting superannuation, paying workcover premiums, WHS training, providing personal protective gear and maintaining good records about all of the above. These ones were somewhat frustrating as they were reliant on each other, in a circular way. So finding the correct starting point was the key. To get a building (construction permit) I needed an owner builders permit. To get an owner builders permit I needed to do the online training and, have my Development Application approved. To achieve successful building inspections I needed certificates for plumbing, electrical, waterproofing, gas install, glazing (windows), and showerglass install. 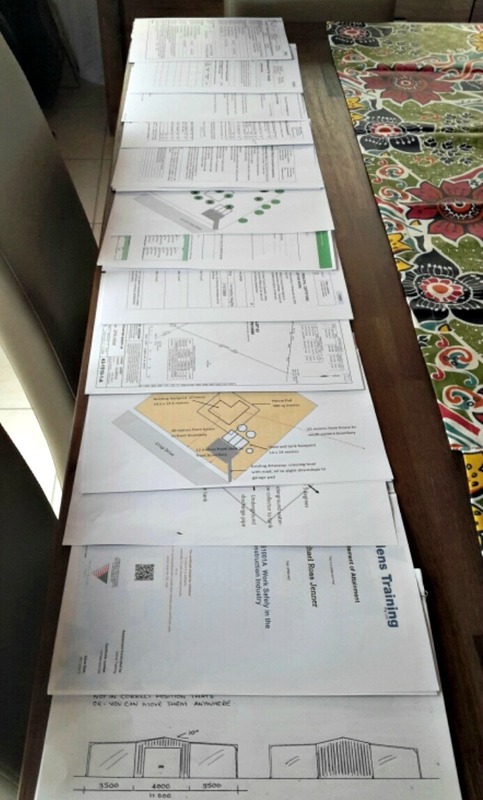 I also needed a truss certificate, frame engineering plans, slab engineering plans and my Basix energy outcomes. Insurances were required for the build including Construction Insurance, and site Public Liability. Workcover premiums as mentioned above. 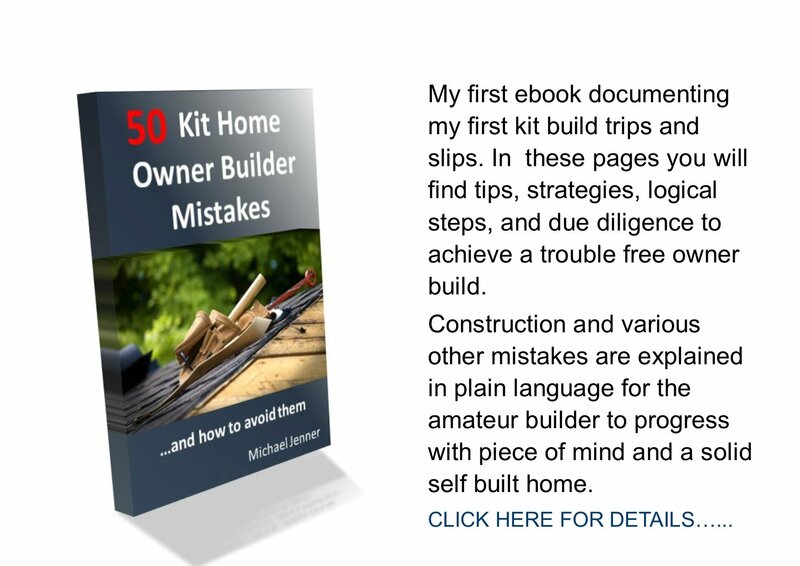 Selling my owner built home has limitations, which are different everywhere you go. Some states require a builders warranty, others won't allow warranties for OB's, and require a rider in the sales contract that states it was owner built, and that the OB is personally liable for 7 years after initial occupation. Check your own authority before considering an early sale. Most states have a minimum amount of years before another owner builder permit can be gained: typically six or seven years. Best of luck with your Red Tape.